Probably the two most common and popular choices in floor surface covering—hardwood and carpet—each has a variety of characteristics that make them favorable in specific environments to match specific needs. Understanding the nature of the materials will allow you to make an informed choice about how best to use and apply them in various locations. • Prestige: Hardwood flooring commands more respect than carpeting as a design choice in residential applications. It is seen as being “high end” and “luxurious,” both because it is a natural material and because it is normally more expensive than carpeting. Depending on the type of wood chosen and how it is finished, hardwood can create a sense of luxury and even prestige when used in certain locations. • Easy to keep clean: Some people feel that it is impossible to clean carpet, because stains soak in and settle permanently, and because dust and micro-bacteria are easily trapped in the fibers. In great contrast, hardwood has a smooth, solid surface that can be easily wiped clean. 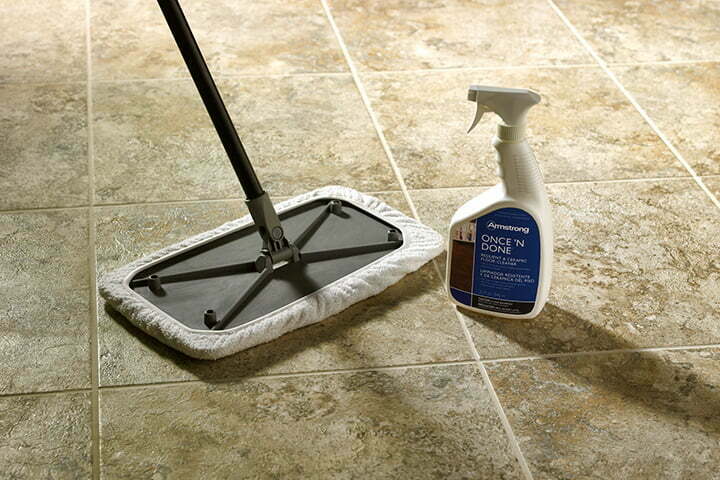 It does not allow dust or dirt to hide making it much, much easier to maintain than carpet. • Low-allergy surface: The fact that carpet can attract and hold dust and microorganisms can also affect anyone working or living in the space—especially if they suffer from allergies. Every time you walk across a carpet, millions of tiny particles are cast into the air. 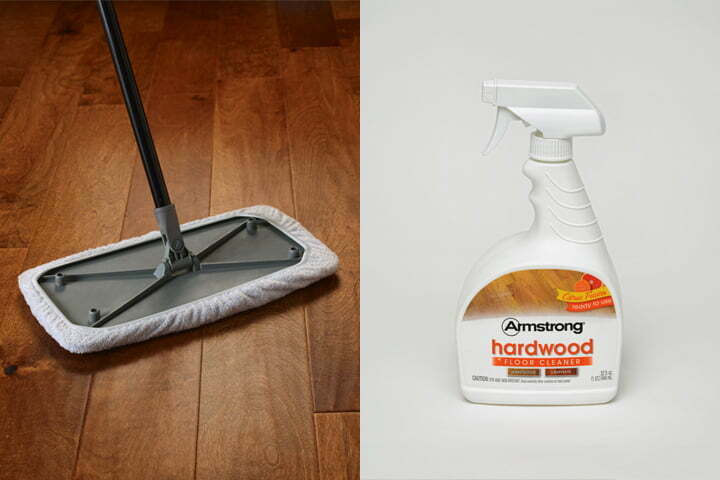 With hardwood, though, all you have to do is wipe or sweep the surface clean, and you are instantly free of those same potentially harmful particles. • Long-lasting: Properly maintained, hardwood flooring can last for decades, and some of the higher end materials can last for generations. Carpet, on the other hand, usually needs to be replaced every few years. This means that hardwood may even be the more economical flooring since your initial investment pays off over time. • Can be refinished: When a hardwood floor is damaged, either by a stain or through some physical trauma, in most instances it can be refinished to look like new. This involves sanding down the surface past any defects and then re-applying the stain and or finish products to make the floor look completely revitalized. Depending on the thickness of the material, you may be able to do this several times over the life of the floor. • Versatility: Hardwood can be left exposed for its sheer drama, but if you want to soften the look and get some of the benefits of carpeting in a room, you can lay down a rug to cover as much of the space as you wish. Installed carpeting does not have that benefit. • Timeless appeal: Hardwood flooring has been used in homes for hundreds of years, and despite constant shifts in style and trend, it has never stopped being popular. It always matches whatever colors and accessories happen to be in vogue, and can easily handle numerous different decorative choices. • Natural and ecologically friendly: Carpeting is made largely from petroleum, a very limited resource and one that is not natural in any way. Hardwood is a natural material made from trees that can be replanted and renewed. However, when buying hardwood materials, you do want to do a little research and make sure that they are being harvested by an ecologically sound company in an environmentally friendly way. • Softness: The biggest appeal to carpeting is that it is soft and feels great beneath bare feet This is particularly soothing in bedrooms, children’s rooms, and some family and living room areas, where you want to promote an atmosphere of comfort and relaxation. • Warmth: Carpet is going to be much warmer than hardwood floors, especially on a chilly winter morning. It acts not only like a blanket for your feet, but it also helps to insulate the room, ensuring that warmth remains indoors and doesn’t slip through more porous flooring materials. Dense carpeting with a good bonded polyurethane padding beneath can create an R-value of 4 or more, meaning that the warmth carpeting lends to a room is very real. • Physical comfort: The fact that it is soft and warm makes carpet just about the most comfortable flooring material you can stand on. This can be especially important when standing for long periods of time, where harder wood floors can cause pain in feet, ankles, and knees. Good carpeting with a dense foam underlayment is much more comfortable floor than hardwood. 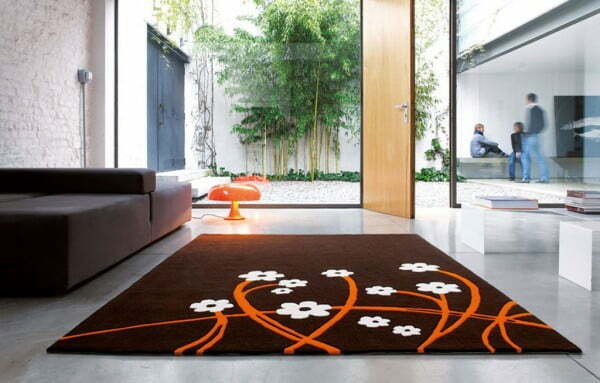 • Economical: Most carpet is considerably less expensive than most hardwood materials. And although carpeting does need to be replaced every few years, perfectly acceptable carpeting may be available for less than $1.00 per square foot. Solid hardwoods, on the other hand, start at around $4.00 per square foot and go up from there. • Safety: The fact that it is so soft makes carpet a particularly safe flooring choice. With hardwood, a trip or fall can result in injuries and broken objects. With carpet, though, you have a cushion running across the entire room, making damage from an accident much less likely. This can be a strong consideration in homes with small children or elderly residents. 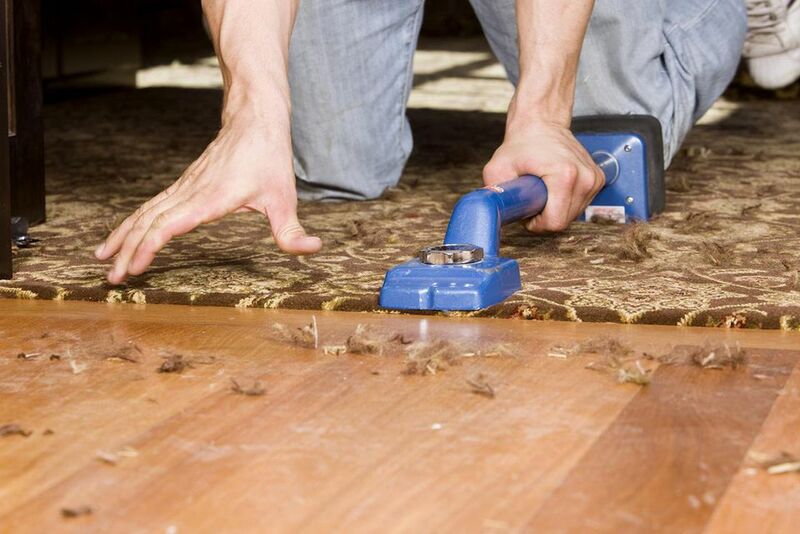 • Sound-deadening: A major complaint about hardwood floors is that they are loud. When installed on upper levels, people below often complain that they can hear every footstep. An old installation may also squeak in certain spots. With carpeting, though, the surface of the entire floor is padded and insulated so that noise won’t easily pass up or down. • Friendly to children: Carpeting is great if you have kids because the surface provides a comfortable, safe cushioned surface on which to play. Falls on carpeting are much less traumatic than on hardwood.